It’s been awhile since I’ve gotten an article out. I planned initially on starting up again with writing about Pokemon when Battle Roads started, but those got axed from the schedule leaving us with a big void until Fall Regionals, which start just this next weekend now! I’ve been busy testing the new format and am excited to see how the format shifts if any since the results of the Klacynzki Open. If you’ve paid attention those results, not a single Plasma deck was able to make its way into the Top 8 cut, which shouldn’t come as a surprise with how the format has shifted after Worlds and the new cards that are seeing play. First, to discover the problems that Team Plasma decks are having, I think you have to take a look at the strengths of Team Plasma decks so you can understand why they are being exploited now. First, let’s take a look at the key attackers that Team Plasma has at its disposal. 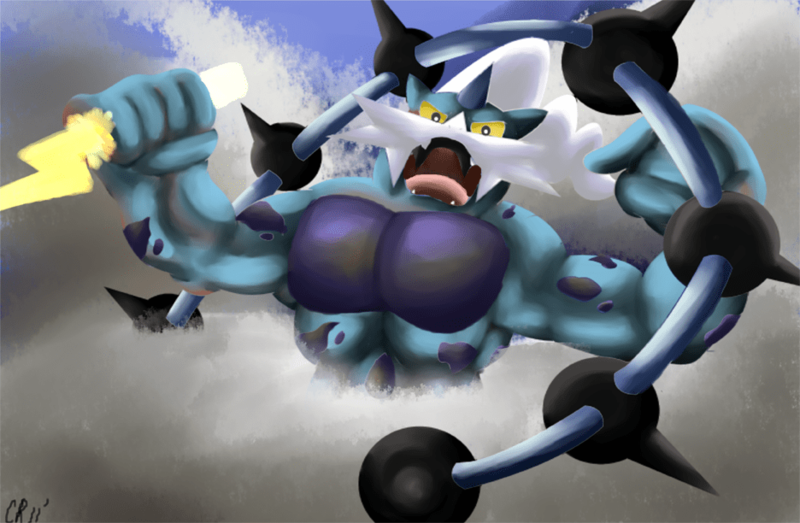 Thundurus EX – Early game energy acceleration with Raiden Knuckle for L. Isn’t really used for its second attack. Deoxys EX – Used to boost the damage of Team Plasma decks by 10 for each Deoxys that is benched. Also used sometimes for its Helix Force attack, which needs PC, with one of those essentially needing to be a Plasma Energy, otherwise the damage output is quite low. Lugia EX – Used to shift the prize exchange in your favor by taking extra prizes thanks to its Overflow Ability. Attacks for a steep CCCC, with one of those needing to be a Plasma Energy, which it discards when it attacks. 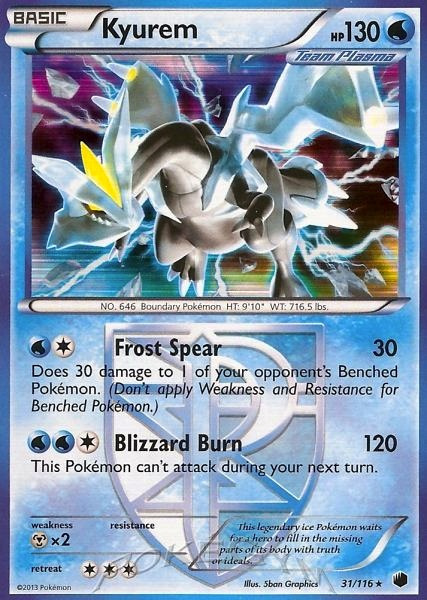 Kyurem PLF – The non-EX that is pretty much as strong as an EX in all things except HP. Its Frost Spear does 30+30 for WC, and that 30 damage to the Active can be boosted with Silver Bangle against EX’s. Blizzard Burn for WWC, does 120 damage, which can turn into 140-150 with Deoxys, and 170-180 with Hypnotoxic Laser/Virbank City Gym or Silver Bangle. Absol PLF – For DC, its Mindjack attack does more damage for each benched Pokemon your opponent has. A big bench and it’s doing a lot of damage, a small bench and not so much. Just by taking a quick note of our attackers, we can see that any Plasma deck is going to be playing Special Energy of some kind. First off, Colress Machine provides a second form of energy acceleration, opting you to play Plasma Energy to take advantage of that. There goes 4 spots devoted to Special Energy already. If we try to fit in a multitude of attackers to keep Plasma a diverse deck, we need Special Energy. Just among these five main attackers, we have four different types, so playing Prism or Blend to hit upon those types when you need be which adds more Special Energy to the equation. I have tried playing around 3-4 of each Basic Energy with Energy Searches, but that hasn’t yielded good results as that takes more space in the deck forcing you to cut corners elsewhere. If we want to accept versatility in our Plasma builds, then high Special Energy counts, around 8 is going to be a necessity. This leads to a few issues with cards in the current format that are able to hammer away at Plasma very hard. The first is Enhanced Hammer, which will keep Energy off your attackers preventing you from attacking with what you want to. 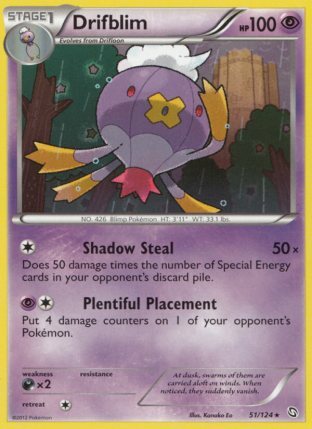 The second is Drifblim DRX, which does 50 damage x the number of Special Energy in your discard pile. Through use of Enhanced Hammer and just knocking out your attackers, Driblim can easily hit for 200 damage, knocking out any of your attackers all while at a 2-1 prize exchange if you can even muster up another attacker to knock the Drifblim out. So the remedy of our problems is to take a Basic Energy approach, which really limits the options the deck will have. One method, which I used myself during Spring Battle Roads is to cut all of your Special Energy except Plasma Energy for Water Energy, and play Kyurem as your sole attacker with Deoxys also present to boost Kyurem’s damage. You use Frost Spear for an aggressive turn one start, and also to spread damage and setup KO’s, and then Blizzard Burn for ohko’s. The problem this deck has is that it can be difficult to stream Kyurem with 3 Energy which can lead to the deck dying out after a few Kyurem’s are knocked out. Secondly, you can’t really use Exp. 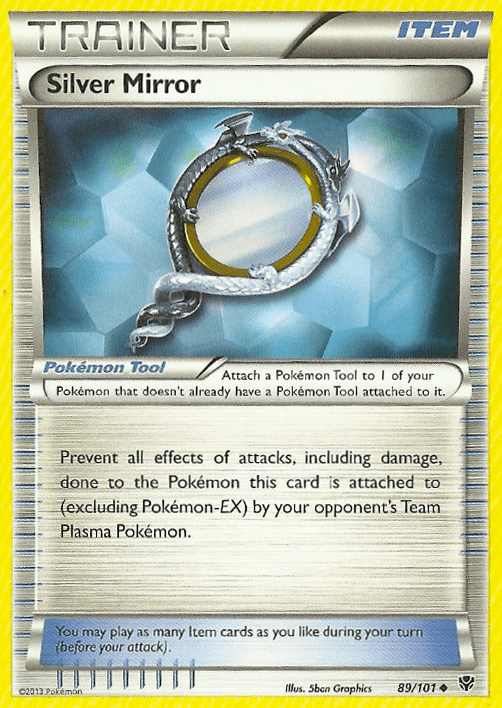 Share effectively as well as Silver Bangle, which can limit Kyurem’s damage output. There are work arounds like Tool Scrapping the Exp. Share yourself, or playing LaserBank instead (a problem for this deck I will discuss in a bit), but none of these work arounds are reliable. Heck, your Exp. Shares will probably be dead space because of the high presence of Tool Scrapper in the format. When I played the deck at Spring Battle Roads they were largely dead cards because of a combination of Tool Scrapper, poison knockouts, and bench snipe knockouts so it’s hard to see them be very effective in this format too when everyone is playing seemingly two Tool Scrapper in their list. The other method could be to take a heavy Lugia EX approach. You will be playing Special Energy in this version 3-4 DCE, 4 Plasma, but the big thing Lugia has going for it is that this attack can be setup in one turn easily with a DCE and Colress Machine if you already have another Energy attached, otherwise two Colress Machine. If I were to play this deck, I would keep it pretty simple, just Thundurus, Deoxys, and Lugia, keeping Deoxys out as a potential attacking option so you can just focus on playing a lot of Lightning so you have more Energy that won’t be knocked off with Enhanced Hammer. This gives you a very linear strategy of setup KO’s with Thundurus, and then finish them off with Lugia. The problem this deck has are two fold. Safeguard Pokemon completely shutdown the deck from doing anything. Secondly, even though Lugia can be setup in one turn, and hits for big damage, it still has a steep Energy cost, and after late game N’s it can be easily prevented from attacking, especially when dealing with OHKO attacks like G-Booster and Black Ballista. Without Lugia, the deck doesn’t swing for much damage with Raiden Knuckle. This is an interesting phenomenon in the new format for Plasma, which should they play. While Silver Bangle certainly makes Kyurem a stronger attacker against EX Pokemon, it essentially weakens the rest of the deck. None of your EX’s can make use of Silver Bangle for added damage, so Thundurus EX and Deoxys EX’ damage becomes more limited in the early game than it was with Hypnotoxic Laser. 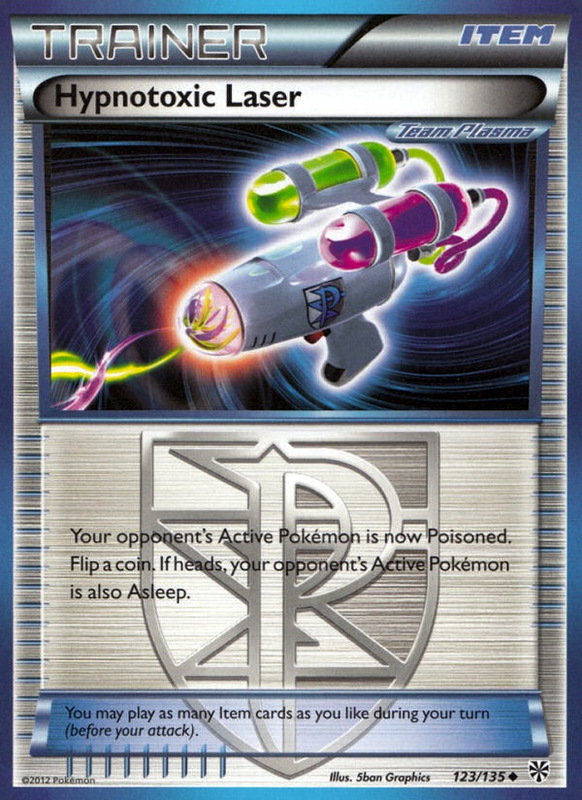 Additionally, Silver Bangle only hits for the extra damage against EX Pokemon, so playing it over Hypnotoxic Laser weakens the deck against non-EX decks. Does this matter too much? It’s hard to say, with or without Bangle Kyurem is still one of the strongest non-EX’s in the game with Deoxys, but if you noticed certain non-EX matchups to be close, then those probably got tilted more in the other decks favor with the switch from Laser to Bangle. Yes, a tool has been released that shuts down Plasma Pokemon from doing any damage against non-EX Pokemon when attached, and this should cause some worries for Plasma players, it already obviously has with Plasma lists going from no Tool Scrapper to two. Some decks, such as Togekiss, Dragonite, and Zebstrika can setup game conditions where a Plasma player can never do damage for the rest of the game. There are outs like Landorus EX or Scramble Switch to Keldeo EX, but you can’t use Scramble Switch under trainer lock, and Landorus EX just exacerbates the need to play Special Energy and it won’t be able to knock out the Silver Mirrored Pokemon in one hit. Beyond decks which shutdown Plasma completely, Silver Mirror is still relevant, especially after all Tool Scrappers have been played or after a late game N, making it hard to find those needed Tool Scrappers. Even one turn of preventing Plasma from attacking can be enough to swing the matchup out of Plasma’s favor. Headed into Regionals, I have very low expectations for Team Plasma decks. I think some players will put up fine performances with the deck, but I see very few making it into the Top 8’s of these regionals, and don’t think Plasma will be a legitimate threat to win any of the tournaments. It’s just hard to see a Plasma player going the distance when there is so much hate for the deck in the format, especially when decks like Blastoise don’t even need to be built to hate and can still beat it. 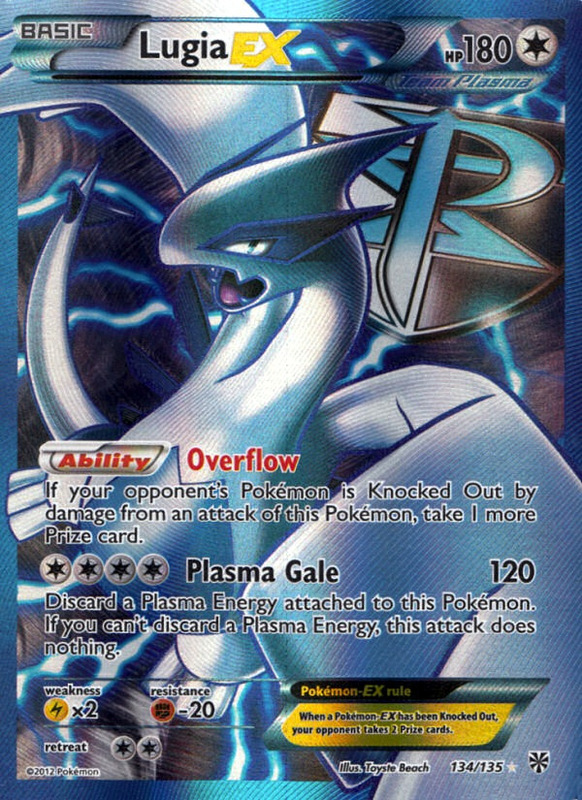 If I were to choose a Plasma variant to play for Regionals, it would probably be a Kyurem and Basic Water Energy version, as that will at least help clear up the Special Energy problem. Still, Plasma as a whole is a deck I have eliminated from my deck choice for Regionals. Between Enhanced Hammer, Drifblim, and Silver Mirror there is just too much Plasma hate in existence to see a successful outcome coming from playing this deck.